My favorite magazine right now is Real Simple for many reasons, one of which is a fabulous spread on essential cake recipes. They laid out two, count ‘em: two, cake recipes – because that’s all you need. Plus three fillings and three frostings. I won’t go in to all the variations with fillings and frostings but I will spew forth my own ramblings on baking the perfect cake. I truly believe you can get through life and its mine field of baby showers and birthday parties with just two cake recipes: chocolate and yellow. (It just so happens that’s what Real Simple thinks too) It’s what you fill them with and what you ice them with that makes the possibilities endless – not to mention you can add flavorings to the yellow cake all day long, and the chocolate too for that matter. Until recently I had never even thought to “fill” a cake with anything other than enough of the icing I planned on using on the outside to stick the two layers together, but not so much of it that the layers slide apart at the merest jostling of the plate, oy. *hangs head* Not that that has happened to me, ahem. So what a world this has opened up. I started with strawberries and what a great addition! It’s nice to cut into a cake and get more than you expected. Filings are not limited to fruit of course, you can use anything gooey or anything suspended in something goopy. Because cold eggs don’t mix in as well, that’s why! I also find they crack easier and never have shell fragments… maybe that’s just a strange occurrence in my house though? Because a cup from a liquid measuring cup isn’t the same as a dry measuring cup. Who knew? Because things like flour and cocoa compact, so you’re cup is actually more when you scoop instead of spoon. Because that’s where the temperature is even and the most constant, yes where the oven racks are placed matters it seems. 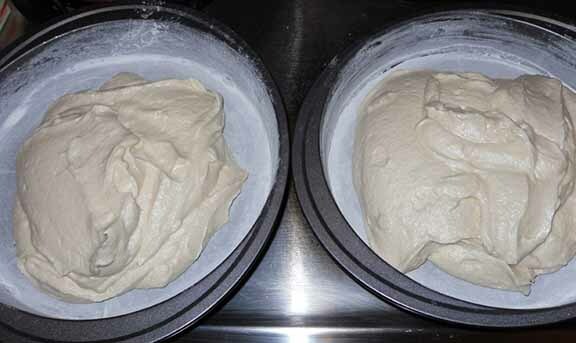 Because cake four has less gluten and makes tenderer cakes, the reverse is true of bread flour and it makes chewier bread, pizza crust and pretzels. 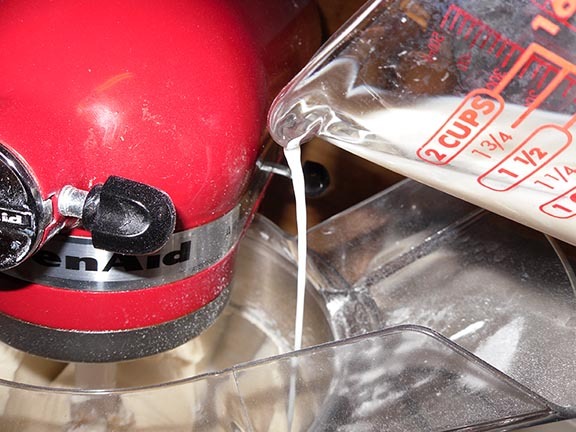 Now for the fun stuff, get your favorite cake recipe ready. The Real Simple recipes are here: Yellow | Chocolate. 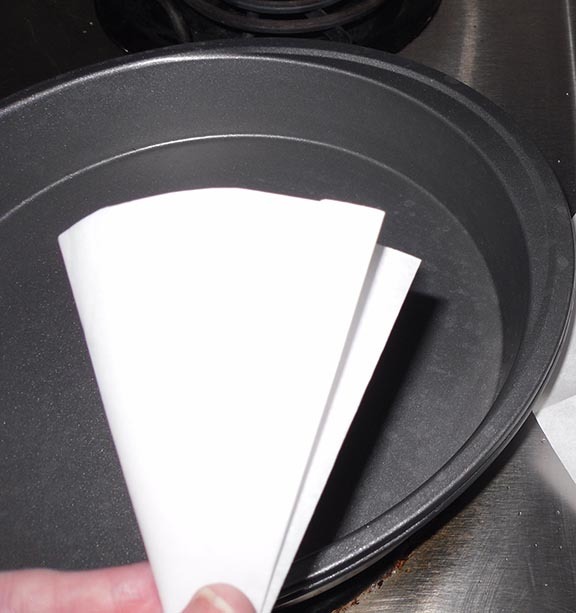 Of course this works with any recipe, heck – there is probably one on your flour bag! buttered pan. Butter the top of the parchment too. Now you can throw away the wrappers. Now place flour or cocoa, depending on the flavor you are making, in the pan and shake around until there is a light dusting on the bottom and sides of the pan. The butter should make this stick. 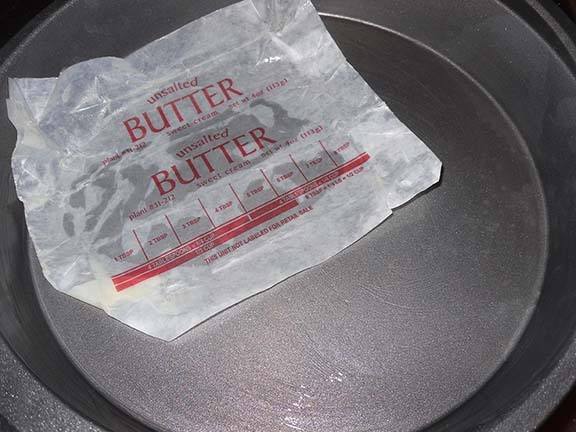 Dump the excess into the other pan and repeat, then tap the excess from that pan into the trash. Now your pans are ready. This makes so much difference, you won’t believe how easy these turn out. and let combine. Proceed in that order, beginning and ending with dry ingredients. Don’t add anything too fast or you’ll wind up with a counter full of goo. Step 4. Fill the pans. Pour half your batter into each pan. Hold each pan a few inches off the floor and drop unceremoniously. Why? This not only evens out the top but also gets rid of any air pockets that will collapse later leaving you a moonscape of a cake. Step 5. Bake! Place the cakes evenly spaced in the oven, near the center. Set your timer for 5 minutes less than your recipe says, start checking then. If you have an oven light, use it. You can see if it looks like it’s browning, etc. When you think they are close to done. Quickly pull out the oven rack and plunge a toothpick into the center of one cake. If it comes out clean take the cakes out of the over and cool. Step 6. 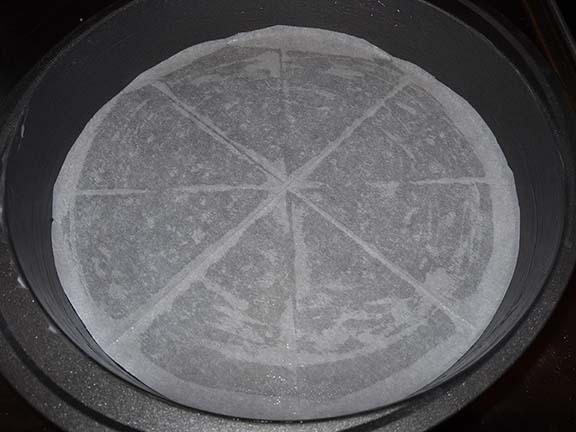 Cooling – cool the cakes for 5 minutes on a rack, pan down. After 5 minutes, flip the pans so the cake can flatten our it’s top. Let the cakes cool for 15 minutes this way and them remove your clean pans, ie. no half a cake stuck in them. Now just let the cakes cool all the way before filling and icing. I refrigerate mine overnight out of sheer laziness. I pop them in gallon size zip top bags and ice the next day. Incidentally, a cooled cake will create less crumbs when icing. When completely cool you can even out the tops if they didn’t do so themselves. Step 7. Filling and icing. Take your chosen filling and slap ‘er on. Set the second (and third) layers on top and get to icing. Apply a crumb coat to your cake before icing it proper. I usually heat some of my icing so it’s thinner than normal and quickly go over the cake as thin as I can. 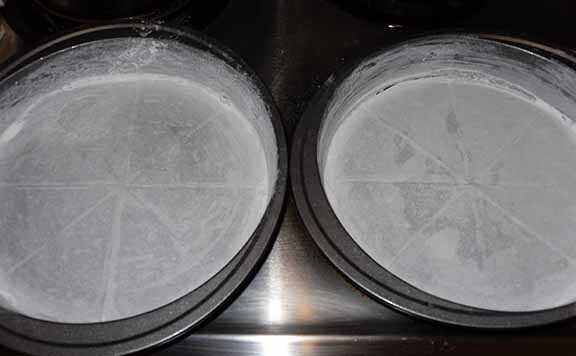 Let this set up for at least an hour before applying your final icing. If applying fondant you can apply a thicker crumb coat and let set for 30 minutes. You want the fondant to stick, yet not slide off so semi-set is the way to go. Take a photo, because really who doesn’t love a cake photo? And eat! Happy Nomming! I did tell you all those things, but I bet you don’t really remember that I told you! !